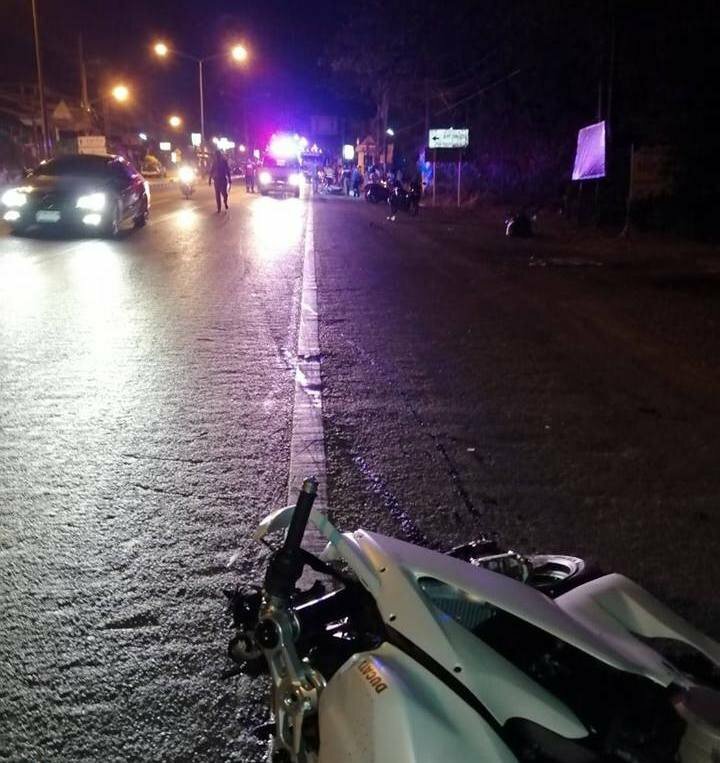 PHUKET: Capt Somkiet Sarasin of the Chalong Police has confirmed that the Frenchman riding the Ducati motorbike in the deadly accident in Rawai early Tuesday morning (Mar 19) was wearing a full-face helmet at the time of the incident. Three people died in the horrific collision, including a Thai woman who was five months pregnant. “I was later informed by my investigation team that the helmet was by the side of the road. They missed it in their initial report,” Capt Somkiet told The Phuket News late yesterday (Mar 21). There may have been the usual, vacuous statements from the usual, pedantic suspects about "not wearing a helmet" or "high-powered bikes" and other superfluous comments in previous, earlier threads. Now there's a vacuous, pedantic and superfluous official comment to the contrary. Should read the whole article. The emergency response people removed the helmet to give the victim CPR. It was left by the side of the road. The late motoGP rider Simoncelli lost his helmet in the crash which costed his life in Sepang, Malaysia a few years ago. Whats the point of wearing a helmet when one rides like an idiot. Helmet or not, bike riders are likely to lose their lives when an accident occurs. I bet something inside you glows when you hear of a death? So your saying that's a 100% rock solid guarantee he didn't lose his helmet in this accident. TVm the mother of denantic assumptions which cannot be wrong. I’m not sympathetic to anyone who deliberately sets out to kill other people for no reason ... I don’t think that applies in this case. So I will not be joining you in celebrating another persons death. Whether deliberate or not, it was preventable with a little common sense and a regard for the safety of others. Because this fool decided his entertainment was more important than the welfare of others around him people are now dead. You probably think if this guy lived he should be able to walk away from it all cause "it was an accident". Disgusting. And you have never ever done something a little risky? Not that endangered the lives of others. Yes, was it a proper, certified Western helmet, or one of the Thai Tesco plastic kind that is no more use than as an ornament?